The Nine Emperor Gods Festival usually brings rain to the lands here and this year is no different. Daily thunderstorms in the evenings were a slight worry as I picked up my British guests from a boutique hotel in the heart of Georgetown City. The first destination of the day was the mangroves of Sungai Batu in Kedah state. The weather was surprisingly pleasant and I led the way into this swampy domain with rejuvenated confidence. 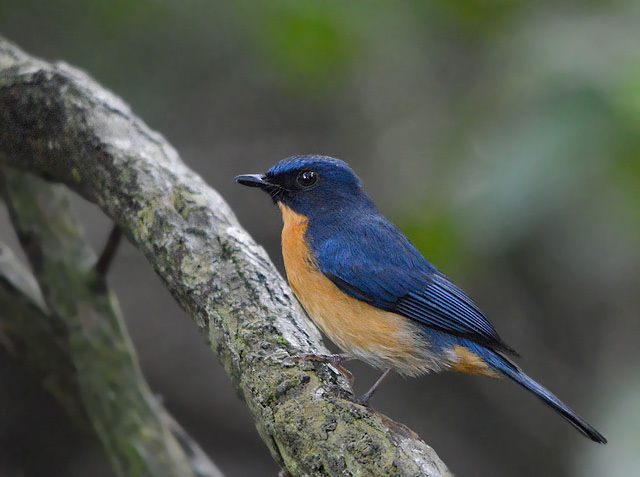 A handsome male Mangrove Blue-Flycatcher was the first bird to greet us and being relatively new to birding in the tropics, the vivid colouration of the flycatcher certainly captured my guests’ attention. My guest had their hearts set on seeing a pitta for this trip and this is one site where you stand a very good chance. 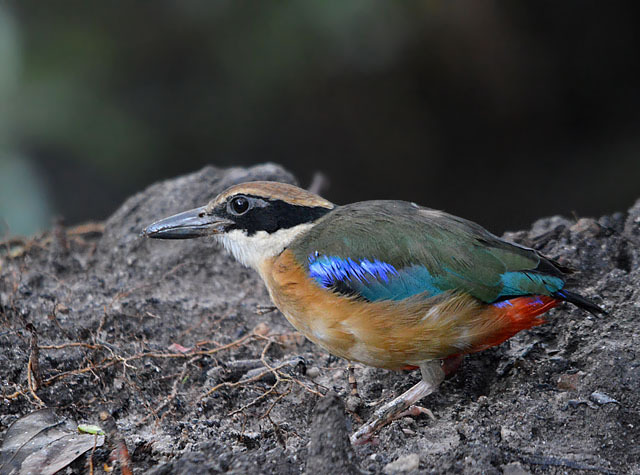 The Mangrove Pitta was their first pitta in the wild and the performance by this locality’s celebrity bird certainly swept my guests off their feet. I remembered my first ever pitta sighting well and it was a Blue-winged Pitta in the middle of a rubber estate. It was a brief view for the younger me unlike what my guests were enjoying – a prolonged intimate encounter that will last a lifetime. As the natural illumination increased so did the level of bird activity. 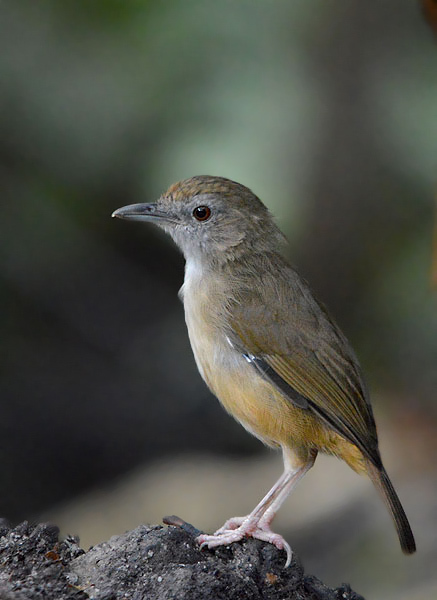 The resident Abbott’s Babblers will usually be able to inject a dose of excitement to any visit with their charming and inquisitive nature. Something on the ground had this one on full alert. This is a posture one does not usually see this species adopting and it will make a nice addition to my rather comprehension collection of images. 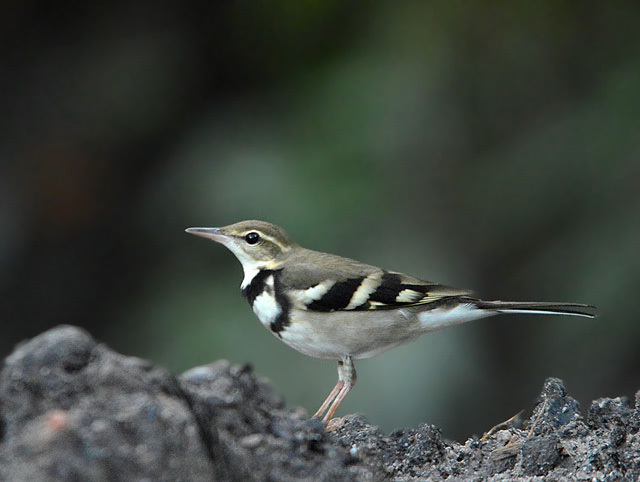 Judging from the confiding nature of this Forest Wagtail, it is safe to assume that it is one of the individuals that wintered here last season. It is always a challenge to photograph this species due to its constant movements. But there is no denying the fact it is a striking species and I am elated of its return here. 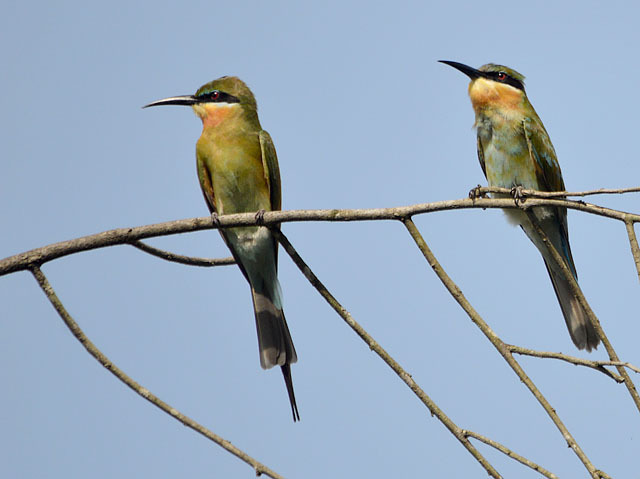 The Blue-tailed Bee-eaters were also back for the winter and their graceful sallies after flying insects are always a welcomed sight. A few were seen resting and preening on a dead tree and this image shows the difference between an adult and an immature. 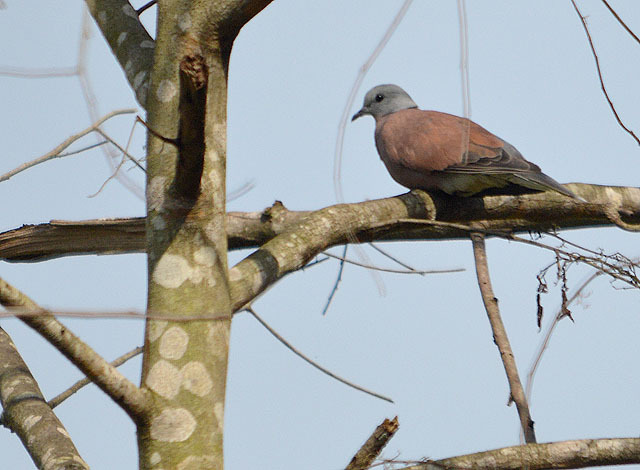 There were a flock of Red Collared-Doves on the same dead tree but our presence did not go down well with them. The flock took flight leaving only one male bird that took his sweet time to depart. 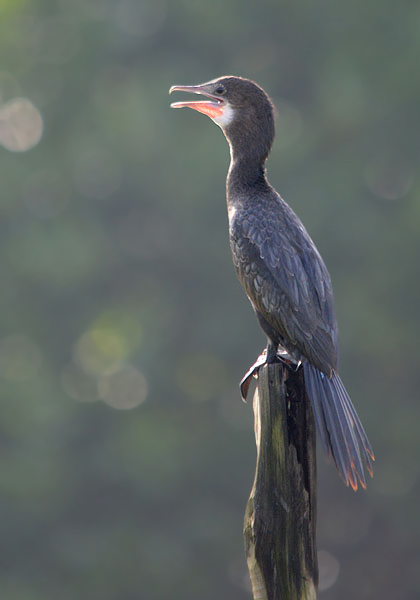 The best encounter from this visit to the mangroves was a lone Little Cormorant resting on a wooden stake overlooking a commercial fish pond. This species is starting to establish itself in the northern half of the peninsular and the number of sightings are increasing. This is by far the closest I have been to a Little Cormorant as I find it to be shy by nature here. I have a soft spot for water birds even more so for those I do not across all too often like the Little Cormorant. Even the less than ideal lighting cannot influence the exhilaration of the encounter. The second destination of the day was the hilly forest of Sungai Sedim. The current spell of rain and wind left a trail of destruction along my favourite access trail of this recreational forest. The number of birds recorded was lower than usual and it was truly a let down when compared to first locality. 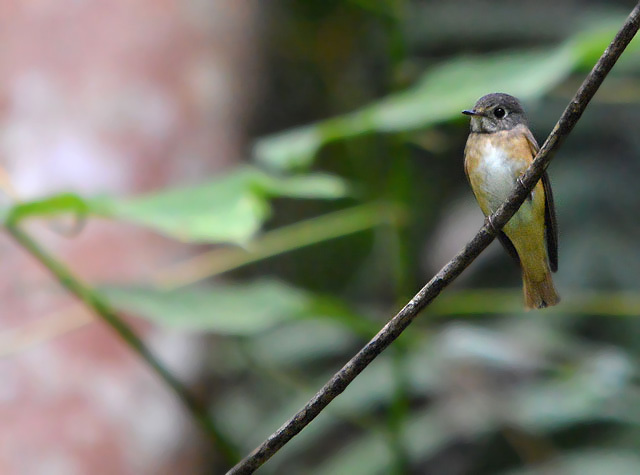 This Ferruginous Flycatcher could have save the trip here if it was perched a little lower. 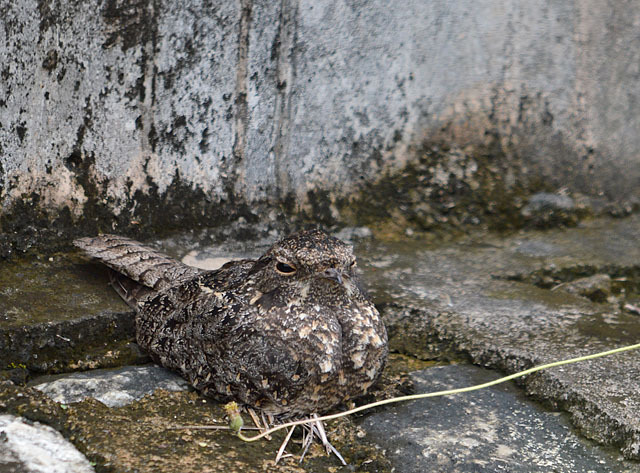 As we heading towards the next birding location, we made a little detour for the roosting Savanna Nightjars at the Kulim Hi-Tech Park. The remarkable camouflage of this nocturnal bird never cease to amaze my guests. Today, despite a careful search, only one was recorded. And for that I was most grateful. A quick swing to the paddy fields did not yield anything out of the ordinary but it was nice to see the migratory Grey-headed Lapwings and Daurian Starlings back for the winter. 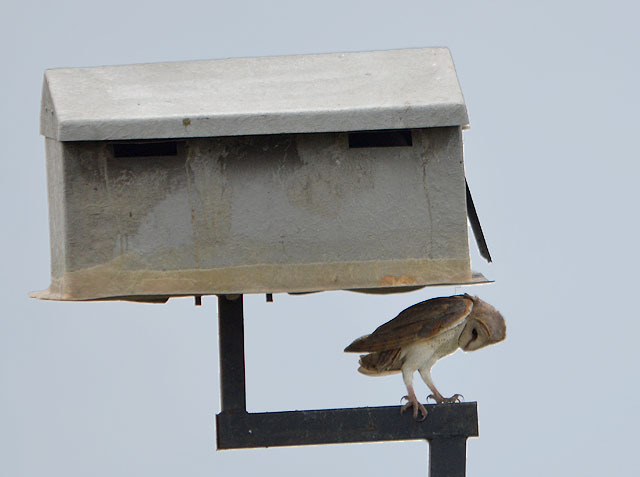 There was a moment of suspense when we spotted a Barn Owl perched outside one of the nesting boxes provided by the farmers to entice these biological pest controllers to breed and multiple. Unfortunately, it hopped back into the nest box before we could obtain any better images. The last destination of the day was the swamp forest of Air Hitam Dalam. Again, the birds were not showing well and I had to dig really deep to provide my guests with one memorable encounter. 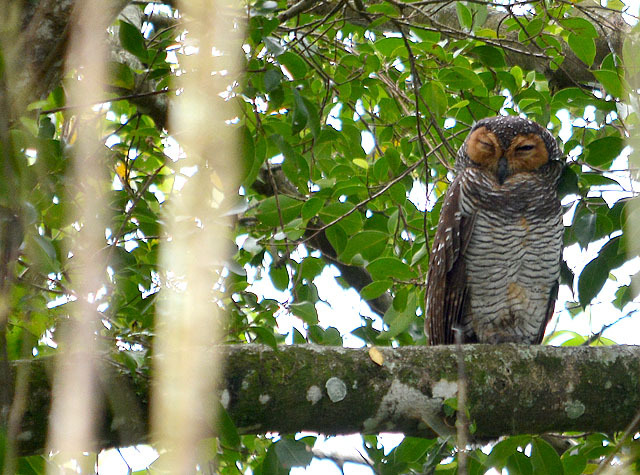 A third record of a night bird for the day and it was a roosting Spotted Wood-Owl. Nestled unobtrusively among the canopy of one of its favourite roosting trees, it managed to elude detection until the very last minute. Undoubtedly, it was a great way to end the visit to this local patch. 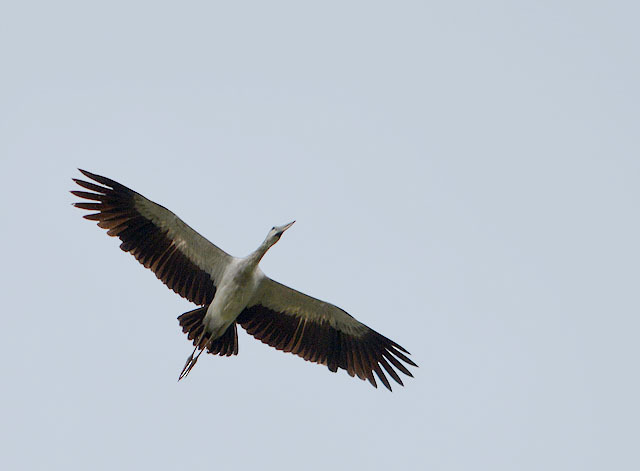 On the way out of the reserve, flocks of Asian Openbills were seen flying in from the adjacent paddy fields. These enigmatic storks flew quite low overhead and it did not take long for us to locate them. Hundreds of Asian Openbills resting on a patch of paddy field is an amazing sight. As I slowly drove towards them, the anticipation of the experience that was to come was overwhelming. However, life do not always go according to plan. A passer-by, no doubt amazed for the sight of storks, over zealously got out from his car in an attempt to capture the spectacle with his mobile phone. A flurry of wings and feathers later, we were left staring at an empty patch of paddy field. I was dumbfounded. A stream of nasty deeds to be executed on the passer-by flow through my thoughts. But no matter what, it will not undo what is done even if I castrated the guy. My guests managed to rack in one more lifer and appeared to quite content. 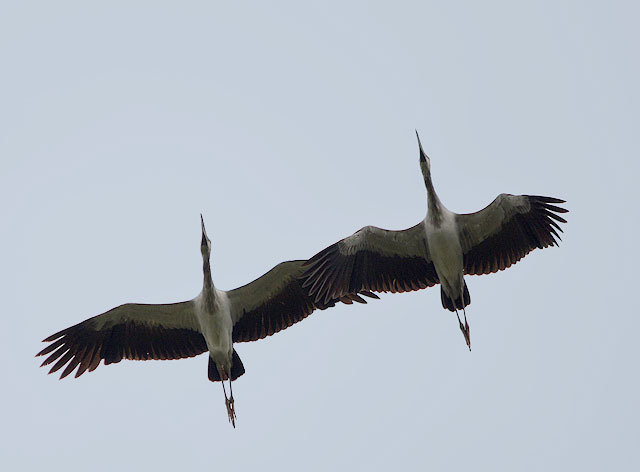 The Asian Openbills were a great way to wrap things up for the day. Despite the slightly lower than usual number of birds being recorded, my guests were in high spirits as we made our home. But not before I gave the passer-by an evil eye when our paths crossed briefly.